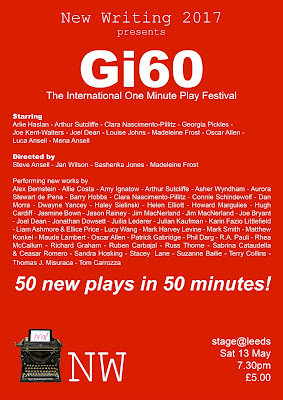 Gi60: the One Minute Play Festival: Come to Gi60 UK live edition (13th May 7.30pm) you might be eligible for a free ticket. 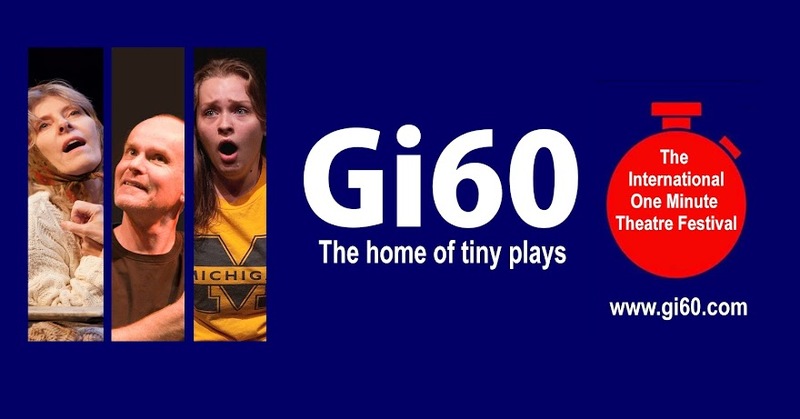 Come to Gi60 UK live edition (13th May 7.30pm) you might be eligible for a free ticket. 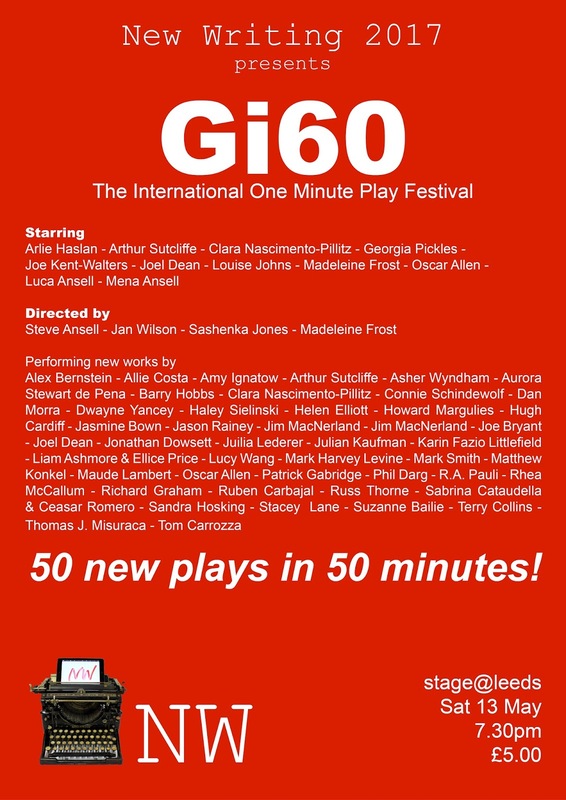 Are you eligible for a free ticket to this years Gi60 UK Live edition and Book launch? If you are in any of these categories email: screammedia@yahoo.com with your name and the subject heading Gi60 UK 2017 Contributors Ticket and we will sort out a complimentary ticket. 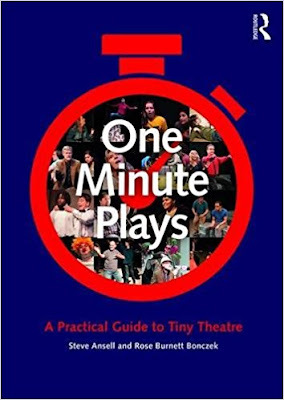 We would like as many people as possible who are associated with the book release (all actors are named in the book and some of you are obviously also quoted along with our writers) to attend the show next Sat7rday as books will be available and it's a great opportunity to get signed copies, meet other contributors, oh, and see some fine new tiny theatre. The worlds first book about theatres tiniest form. ScreamingMediaProductions. Simple theme. Powered by Blogger.